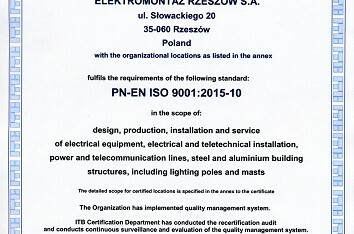 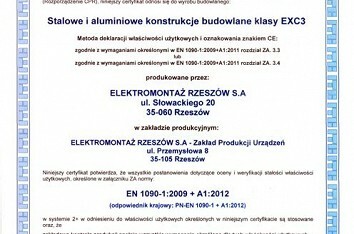 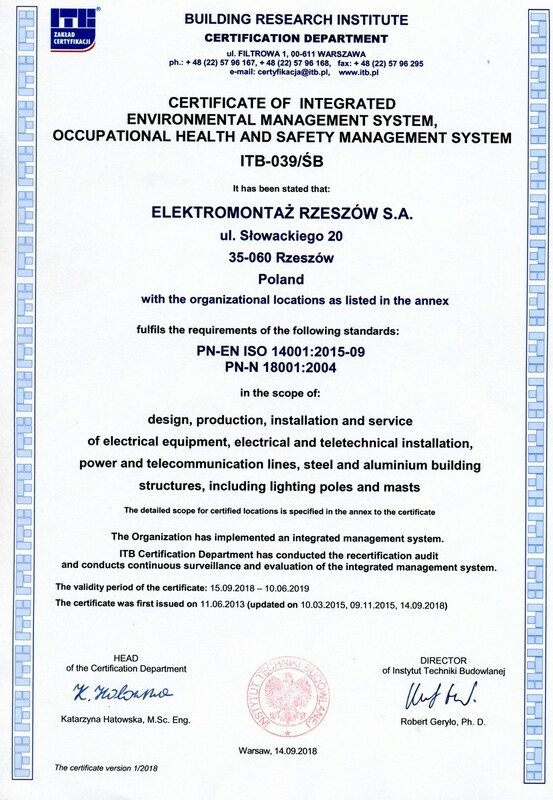 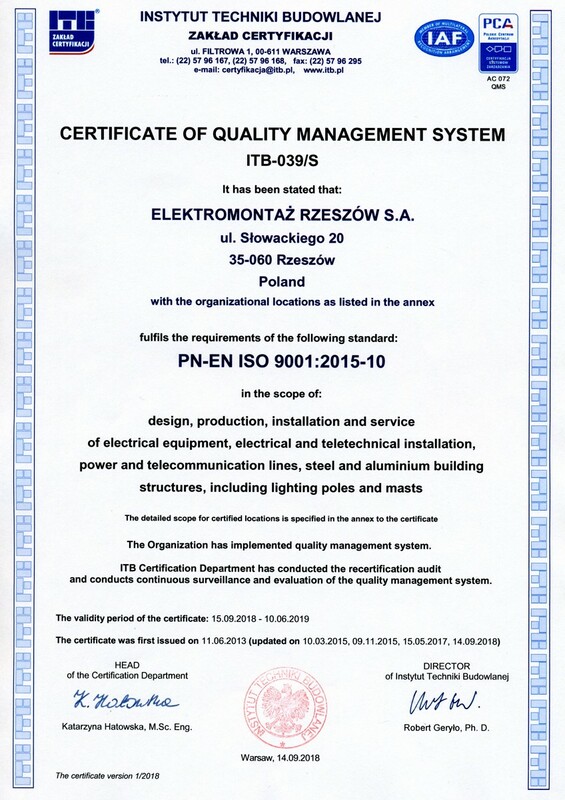 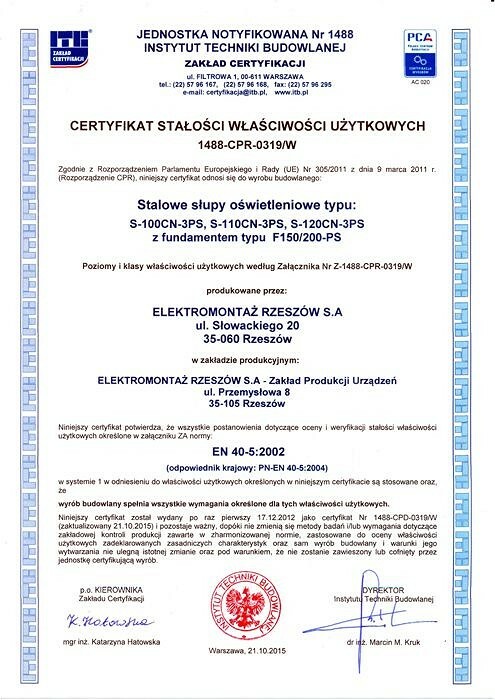 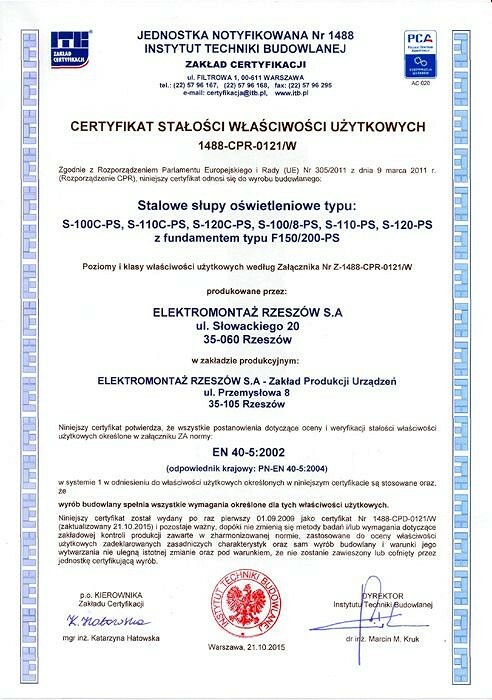 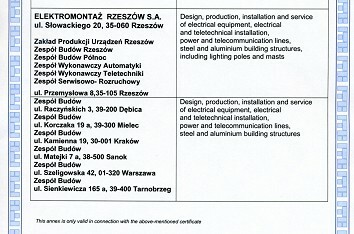 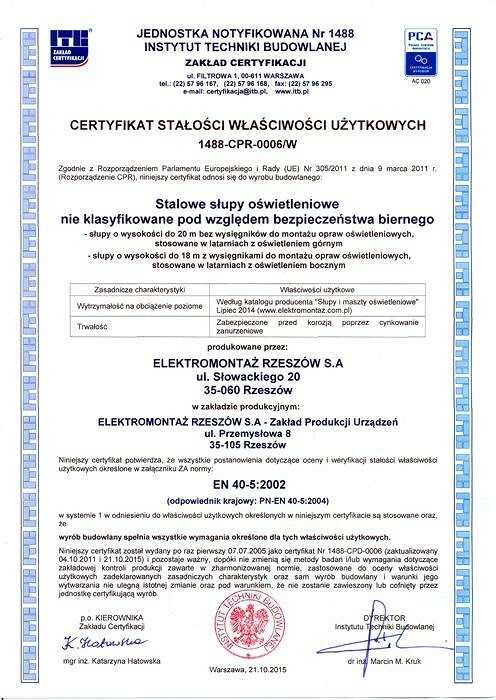 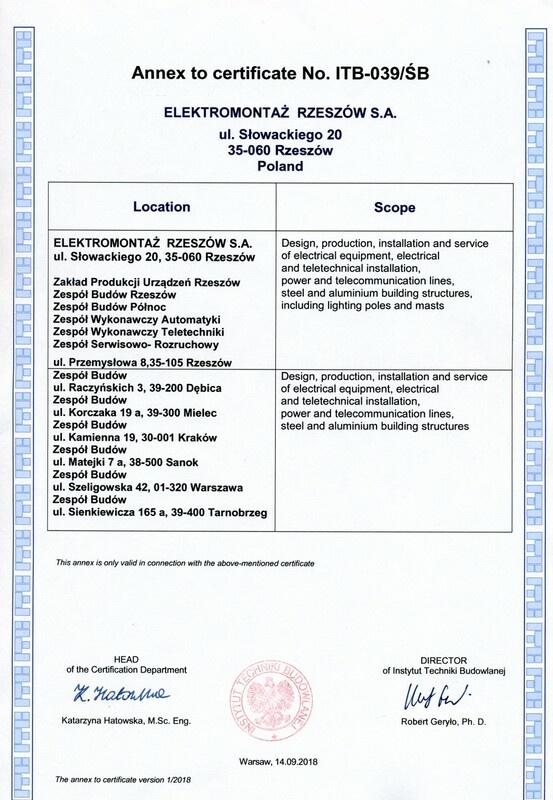 Elektromontaż Rzeszów S.A. possess certificate of Integrated Quality, Environmental, Work and Safety Systems in following fields of activities: design, production, installation and service of electrical systems and installations, power electrical and telecommunication lines; activities towards environmental protection and occupational healt and safety in accordance with Integrated Management System policy. 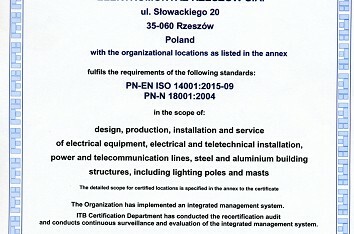 The integrated certificate was issued by Certification Department Building Research Institute. 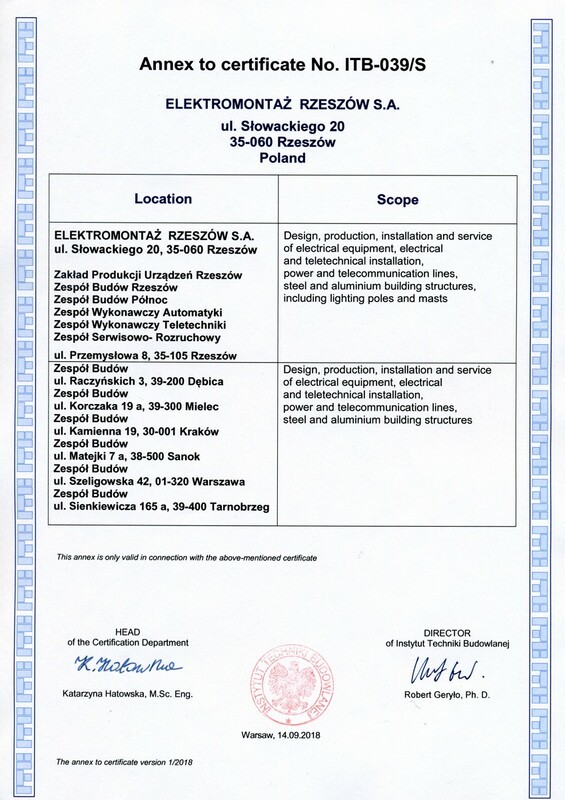 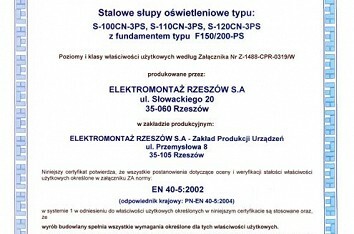 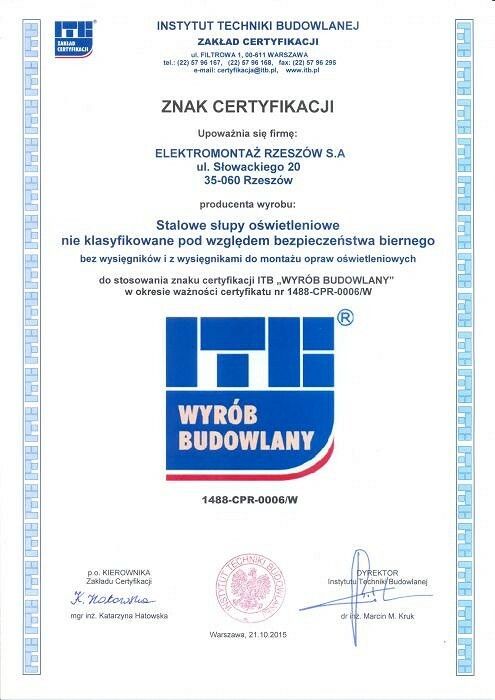 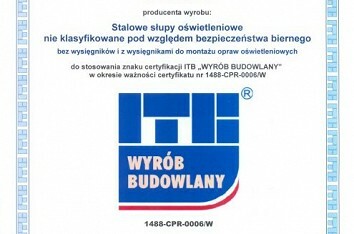 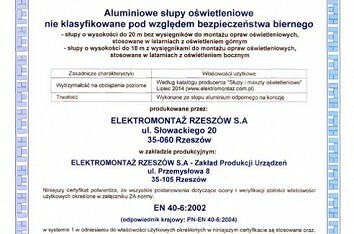 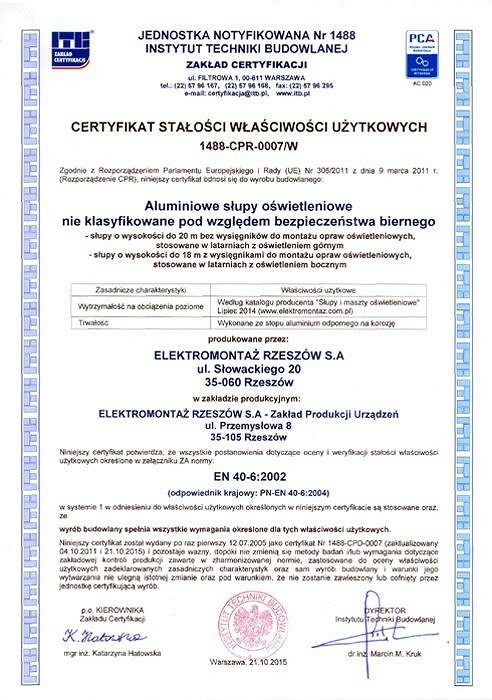 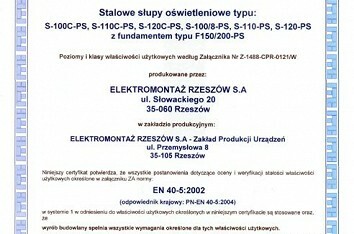 Elektromontaż Rzeszów SA. 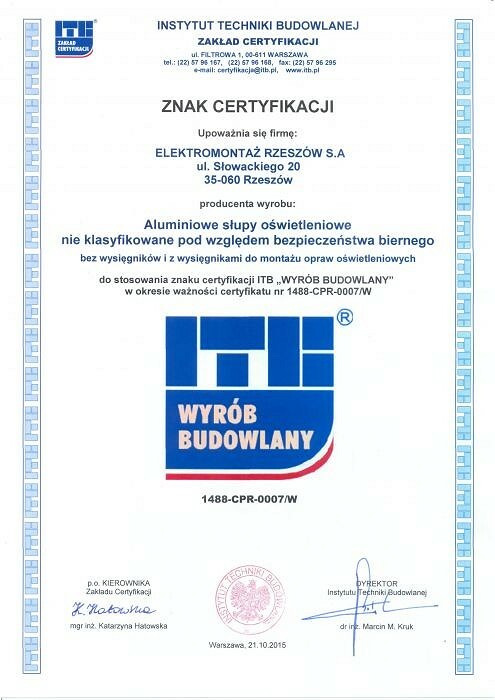 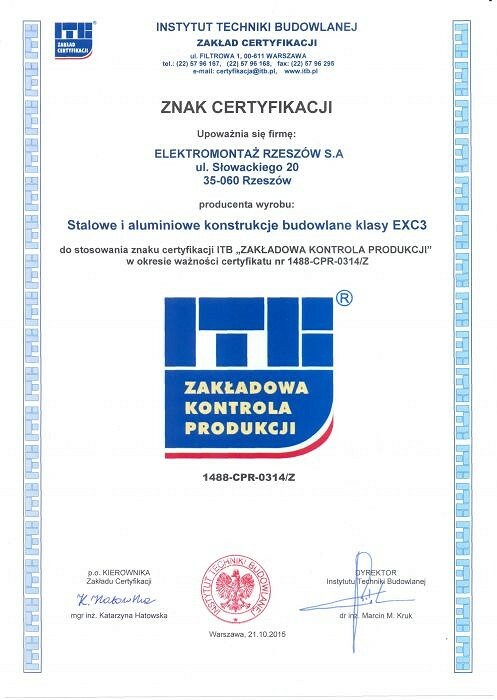 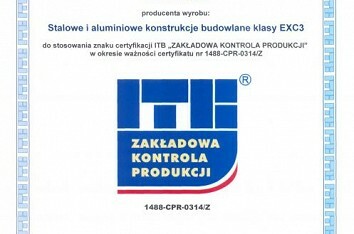 as one of the first companies in the branch, successfully carried out the process of certification of products in accordance with requirements of the PN-EN 40 standard. 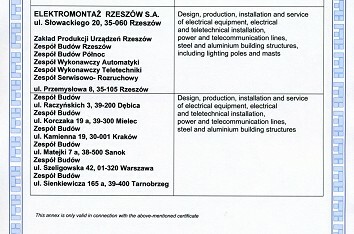 Certification covered process of designing, production and control of steel and aluminium poles and lighting masts. 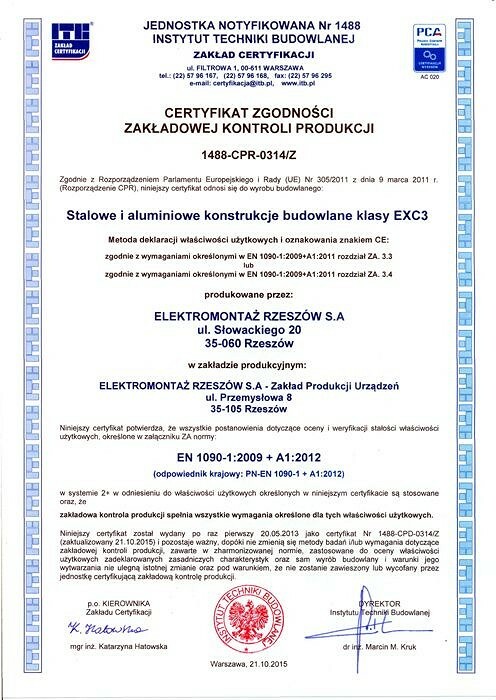 Fulfilling of requirements of directives and harmonized standards of the European Community, were confirmed with the certificate and the right to mark products with CE sign.